The big news of the day just came out a few hours ago that USADA handed Jon Jones a 15-month suspension with a retroactive element that would make him eligible to compete again as of Oct. 28. That news spread like wildfire, draw excitement and confusion all around. Of course, all eyes on Daniel Cormier now who holds the light heavyweight title that once belongs to Jones as ‘DC’ fought him twice. Cormier said a competitor inside him said he would want to avenge his previous two losses, but he got bigger fish to fry, so he doesn’t feel the need to square off with ‘Bones’ for the third time. Cormier, who won the heavyweight title after knocking out Stipe Miocic at UFC 226 this past summer, is expected to face Lesnar by early 2019. At the moment, there is no bout agreement in place for both fighters. If you see through business standpoint, UFC or Lesnar could come up with the idea to fight with the winner of Cormier vs. Jones. Cormier seemed a bit shocked on how the whole USADA thing played out. 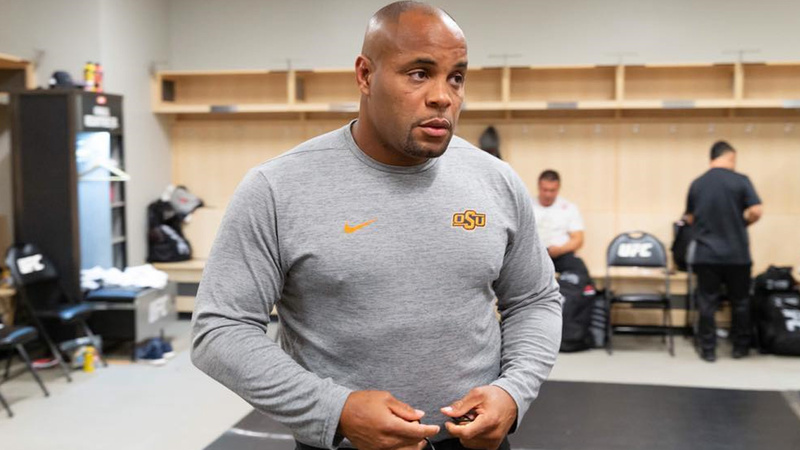 Point to note, Cormier plans to retire in coming March. Share your thoughts, do you think Cormier and Jones, trilogy should happen? Alexander Gustafsson Could Go Heavyweight To Face Daniel Cormier!